Part of the joy of being on vacation is getting a break from the kitchen! No matter what you are craving Sunset Beach Restaurants can satisfy both your taste buds and your budget. Be sure to sample some of our fabulous and fresh local seafood while you are here – there are several great seafood restaurants to choose from. Of course, no trip to the beach is complete without ice cream, so be sure to check out the many places in the area where you can get a scoop, or three! 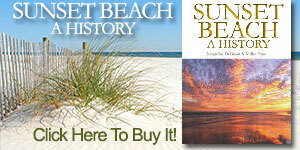 Here are just a few listings for Sunset Beach Restaurants! The View at Brick Landing is the only restaurant in the Sunset Beach, NC area situated on a premiere golf course overlooking the intracoastal waterway. Coastal residents and visitors of both North and South Carolina routinely visit The View at Brick Landing to enjoy fresh seafood, exciting american traditional dishes and breathtaking views. What makes The View at Brick Landing so unique is not just its spectacular location, but the premium cuisine. With a focus on fresh and local cuisine, The View at Brick Landing brings a new and exciting take on dining out to the Ocean Isle Beach area. With a wide range of dishes to satisfy all types of patrons,Brick Landing has become a staple of Ocean Isle Beach dining. From the deck, you can enjoy a breathtaking view of the 18th fairway, that boasts panoramic views of the intracoastal waterway. Enjoy the sights and sounds of the Carolina coast from our luxurious dining rooms or multiple patios. Inlet View Bar & Grill has become a favorite destination for both locals and vacationers. Many visitors make Inlet View a must see and do time and again. All food is prepared on site and fresh, using only the finest ingredients, which may take a little longer because it is cooked to order. In addition, the seafood is 100% wild caught. This ensures that the seafood they use is indeed fresh. The Isles Restaurant | The Isles prides itself on traditional Southern Hospitality.. our cuisine, service and location. The Isles Restaurant boasts 2 Dining rooms, full bar, Banquet facility, outdoor Tiki Lounge and a view that not only quenches the thirst but soothes the mind.Discover Ocean Isle Beach – “The Brightest and Newest Oceanfront tradition”, sometimes life just does have it’s little joy’s. Thirsti Tiki Bar & Restaurant at The Winds Resort Beach Club – 310 E 1st St. Ocean Isle Beach. Have a nice lunch or dinner at an affordable price! Extensive light menu offers fresh cooked pizzas, hot wings, quesadillas, hot dogs & burgers, delicious healthy salads and wraps all at prices below or comparable to the island’s many restaurants. Download our menu! Awesome frozen tropical beverages (Daiquiris, Margaritas etc.) as well as traditional cocktails and beer and wine. Kids of all ages love our fruity frozen Smoothies and ice cream treats. Spring Hours: Open for lunch Mon-Thurs 11:00am – 1:00pm, on Thursday reopens in the afternoon from 4:00pm – 8:00pm Fri. and Sat. open from 11:00am – 8:00pm. Sunday’s hours are 11:00am – 4:00pm. Starting Memorial Day Weekend The Thirsti Tiki will be open every day from 11:00am until?… all Summer long!